The 34-year-old was in his first year of a nine year sentence. The 34-year-old is described as 5ft 11ins tall, of medium build with blue eyes and a goatee beard. A Scotland Yard spokesman said police were informed by the Prison Service on Friday that Byrne had been released in error. A Prison Service spokeswoman said: “Releases in error are very rare but regrettable occurrences. “The number of incidents have fallen significantly in recent years with figures down by a quarter compared to 2009/10 but every incident is taken extremely seriously and we are not complacent. 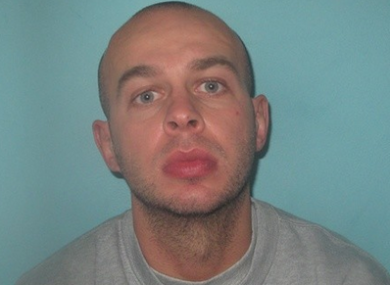 Email “Armed robber released from prison by accident taunts police by posing with police van”. Feedback on “Armed robber released from prison by accident taunts police by posing with police van”.